A mysterious death in Buenos Aires raises questions about the true sources of power inside Argentina's state. Once again, global geopolitics and local gangsterism are mixed in Argentina. Nisman’s sudden death represents a challenge to Argentines to push for a bigger separation of powers - and especially the longstanding links between presidency, justice system, and security and intelligence agencies. A federal prosecutor in a democratic state accuses the elected president of a major cover-up. Alberto Nisman is scheduled to explain the cover-up in Argentina’s congress when, hours before testifying, he mysteriously dies in his apartment. What kind of democracy allows this to happen? In the context of such events, what will be the fate of this democracy? As a result of Alberto Nisman’s death, Argentina is facing a traumatic shock, one without precedent in the last two decades of its young democracy. Nisman’s sudden death on 18 January 2015 represents a challenge to Argentines to push for a bigger separation of powers – and especially the longstanding links between presidency, justice system, and security and intelligence agencies. Argentina’s history is full of examples of the presidency being a willing participant in the manipulation and harassment of investigating judges and prosecutors. Whatever the exact circumstances in this case, Argentina’s government must decisively halt this pattern. The prosecutor’s accusations concerned a terrible incident on 18 July 1994, when a van filled with explosives was blown up outside the Jewish community centre in Buenos Aires, killing eighty-five people and injuring hundreds more. The AMIA bombing was one of the most lethal anti-Jewish attacks since the Holocaust. From the beginning, Iran and its ally Hizbollah have been regarded as the main suspects, though no one has been convicted for the atrocity. The latest twist in the story may seem to belong to the generic script of a Hollywood thriller, but sadly it belongs to the new history of Argentina – and, as with the original event, there are no guarantees that the tale will end well. The federal prosecutor was found dead in his Buenos Aires apartment at the very moment he was preparing to offer the full evidence he had collected on a crucial aspect of his investigation: the supposed attempt by the Argentine president, Cristina Fernández de Kirchner, to stop the prosecution of Iranian and Hizbollah agents who Nisman alleged had planned the AMIA attack. Was Alberto Nisman the victim of a plot against the president? Was he led to his death by having challenged the government that first asked him to investigate the bombing? Is Iran still involved? What will happen now to his very serious accusation against the president? The president, via her facebook page, has evaded these widespread concerns and the profound political implications of the death. Instead, she first stressed that the prosecutor committed suicide and blamed this on a conspiracy between media (specifically, the newspaper Clarín), some elements of the judiciary, and rogue sectors of the intelligence services. She even charged the deceased prosecutor as having been a participant in this conspiracy. Yet just a a day later – in a long letter also published on facebook – the president switched gears and suggested that the prosecutor was killed by her own enemies. President Kirchner speaks of “a really long history, a heavy and hard story and a very sordid one” – words that echo among many Argentines. But this formulation truly refers not only to Nisman’s tragic end but also to the Argentine state that she, as president, is responsible for. The reality she needs to acknowledge is that this is a state where security and intelligence forces, born out of the military dictatorship that ruled Argentina until 1983, operate in the dark – both with the government, and also often against the government. The Kirchner administration will be leaving power in October 2015 (when the next elections are due) with the security state unchanged from the moment it entered office. A key question that needs to be answered properly is whether the administration was not willing to disarm it, or simply did not know how to. In this context, Nisman’s denunciation – an Argentina “j’accuse!” of the present day – is at once both epitaph and testament for the future. This raises the possibility that it could also become a mandate for the times to come. After the brutal dictatorship of 1976-83, Argentina developed one of the strongest Latin American democracies – yet also one where the executive sees the judiciary as an instrument, and more recently (and increasingly) as a potential enemy. 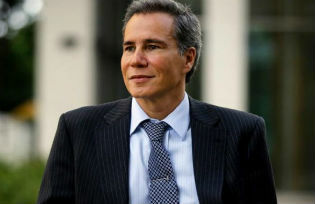 Alberto Nisman had even stated that the president offered to international terrorists impunity from justice in exchange for oil; that Iran was granted a judicial cover-up (“the manufacturing of innocence”) so that the authors of the terrorist attack would go free. Nisman had previously indicted Iranian officials for the terrorist crimes. At a time of global rejection of terrorism, the Argentine administration explored the road of appeasement. Nisman said days before he died that he had wiretapping and other evidence to show the reasons behind the Kirchner administration’s softness towards the Iranian government. Today, few Argentines believe that the judicial investigations will continue. Nisman was the sole prosecutor charged with investigating the bombing. Over the years he carried alone the immense responsibility of finding its causes. He also tried to understand why different Argentine administrations – from Carlos Menem in the 1990s to Cristina Kirchner in the present – were not truly involved in helping the cause of justice. Once again, global geopolitics and local gangsterism are mixed in Argentina. Federico Finchelstein is associate professor of history and chair of the history department the New School for Social Research in New York. His books include Transatlantic Fascism: Ideology, Violence and the Sacred in Argentina and Italy, 1919-1945 (Duke University Press, 2010) and The Ideological Origins of the Dirty War: Fascism, Populism, and Dictatorship in Twentieth Century Argentina (Oxford University Press, 2014). He contributes to Clarin, the New York Times and other publications.